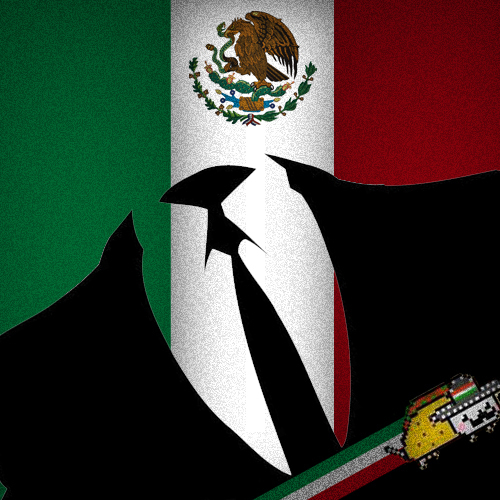 The whole cyber world can be the witness of bitter relation between hacker collective group Anonymous and the Mexican government. We those who used to observe the cyber domain have already seen several protest campaign came from Anonymous against Mexico, whether it was the Pope or Mexican Drug Cartels or Mexican Govt. sponsored bus organization. Here again the same thing get repeated when the infamous Anonymous targeted several web sites of Mexico’s defense and navy departments. The name of the group "Anonymous Mexico" was visible on the website in front of a black background, with phrases from the manifesto of the Zapatista National Liberation Army (EZLN). The group MexicanH Team, which identified itself as part of Anonymous Mexico, said on Twitter that it had hacked and "defaced" the ministry website. In another Twitter account, the group Anonymous Hispano, which uses the handle @anonophispano, claimed that "the entire content" of the defense ministry server was hacked and that it will be "released soon." “Brothers and sisters, let’s raise our voices for a Mexico free of corruption, free of crime,” the message said. “Let’s show the world that were are one, we are everyone. We are anonymous. We are legion. We don’t forgive. We don’t forget. Wait for us!” -added by the hacker. In response of hacking, the Defense Ministry responded that its website was “momentarily out of service” but did not explain why and did not refer to the hacking claim. But on the other hand the Mexican Navy accommodated the cyber attack and said that- its web site was targeted only by a simple denial-of-service, attack and that no sensitive information was compromised. Later Sedena issued a statement hours later saying that while its Web site was indeed temporarily down, but the department’s internal information and communication systems were “functioning with complete normality.” And After couple of hours all the services and website came back live with proper functionality.